Amazingly Xxxclusive is racing and winning in Chile. 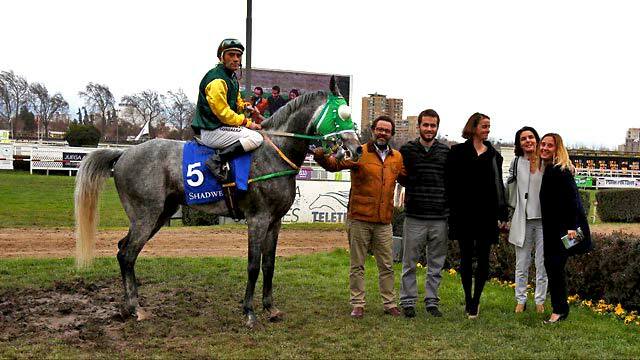 Amazingly Xxxclusive is presently racing and winning in Chile. His sire, Amazing Son, has sired 13 winners, and 11 stakes horses, including I AM AMAZING (Texas-Bred Champion 4-Year-Old Colt, 1st Texas Derby (G3), etc. ), AMAZING GAMES (1st Lone Star Futurity, etc. ), Amazing Proof, ($60,214), Amazing Ku ($56,141) and Amazing Kon. This two-time Darley Nominee was a multiple stakes winner with three track records at distances of 5 1/2 furlongs, 7 furlongs, and 1 1/16 mile. He was named Texas Bred Horse of the Year and Texas-Bred Champion 3- and 4-Year Old Colt. Sonny was an exciting, versatile runner and his progeny are proving themselves in Flat Racing and Endurance. His Dam, Xxxclusive, is by By Golly, a Racing Hall of Fame member, and IAHA Horse of the year. Xxxclusive is a Race and Stakes winner and a producer of race and stakes winners.